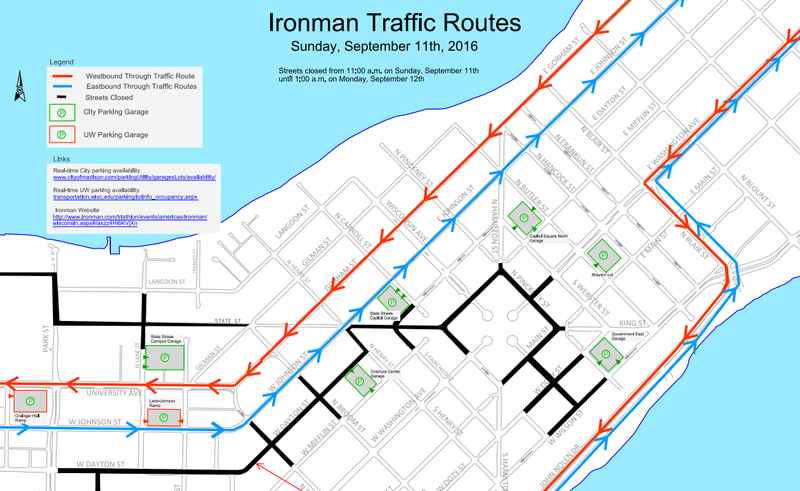 After Hours users planning on using the library this Sunday should plan ahead around Ironman traffic routes and street closures. 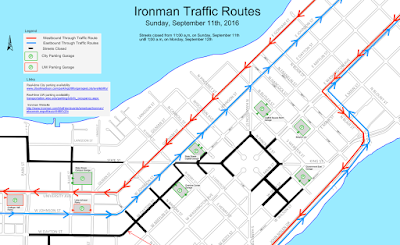 The City of Madison posted an Ironman traffic route map with closures and crossings information. Martin Luther King Jr. Blvd. and the section of Doty Street near the library are both closed to traffic from 11:00 a.m. on Sunday through 1 a.m. on Monday.